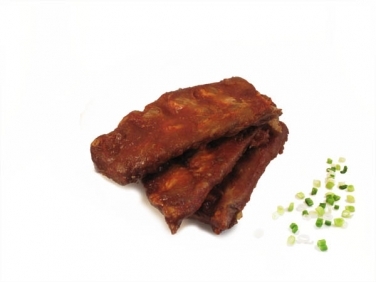 These pork ribs are one of our signature products. Marinated in our award winning BBQ Sauce and delivered to your door ready to bake, they are succulent, tender and oh so delicious. Ribs are always a huge hit at barbecues but there is no need to wait for a sunny day to enjoy them. Try roasting them in the oven and eating them around the fire on a cold winter night, it's comfort food at its best! Our pork ribs are delivered to you ready-to-bake approximately 20 mins 180˚C.